Meaning of The past is made out of facts... I guess the future is just hope. 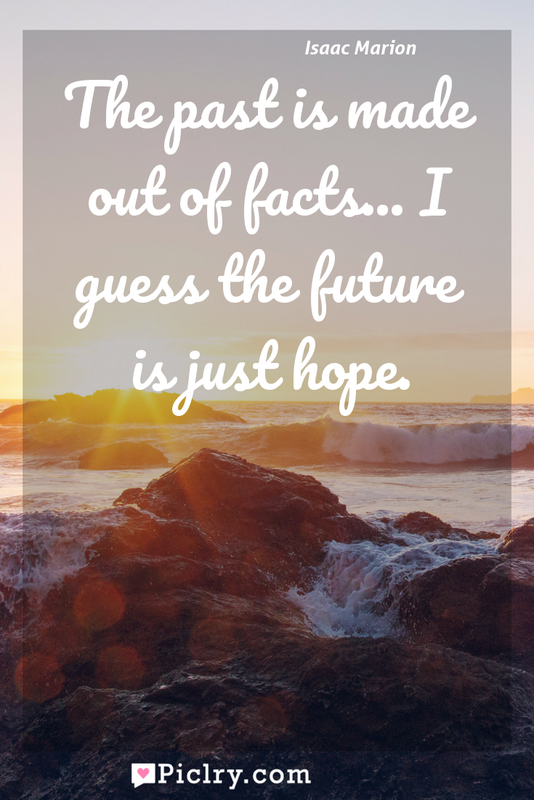 The past is made out of facts… I guess the future is just hope. Meaning of The past is made out of facts… I guess the future is just hope. Quote by Isaac Marion. I’m beginning to think that to hope isn’t the same as to expect something. To hope is to believe that life is an acceptable chaos.